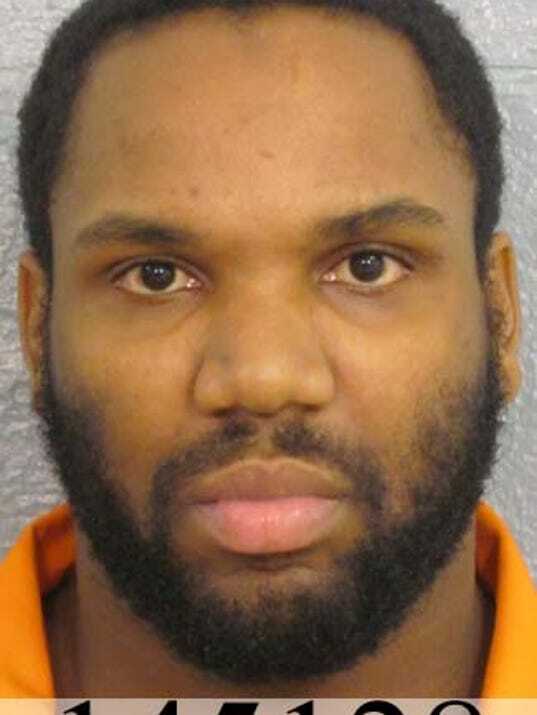 LOUISVILLE, Ky. —A fight over the death penalty has postponed the trial of a Louisville man charged with killing a 15-year-old boy. James Mallory and two other men were set to go to trial Friday in the death of Gregory Holt. The teenager was shot in April 2012. Police believe it was in retaliation because Holt is the son of Kendra Wilson. She pleaded guilty last November to her role in trying to kill Mallory days before her son was murdered. Mallory's attorneys are trying to get police interviews thrown out, and stop him from facing the death penalty. Mallory will be back in court next week. A court hearing is set Monday for a murder suspect charged with trying to solicit a fellow inmate to kill a co-defendant in his case. Prosecutors said James Mallory also offered the inmate money or drugs to make up false testimony. The target of the alleged murder-for-hire plot was Anthony Hogan. He was due to testify against Mallory in his upcoming murder trial. We all live in a clown world. LOUISVILLE, Ky., – Nearly six years after 15-year-old Gregory Holt was shot to death in his mother’s apartment, the man charged with his murder, James Mallory, was supposed to finally stand trial Friday. But the death penalty case was delayed Thursday for a reason the judge said “appalled” her and raised questions about whether a crime may have been committed by the defense team for one of the men allegedly involved in the slaying. Just this week, the Jefferson Commonwealth’s Attorney’s office found out an investigator and attorneys for a co-defendant, and key witness against Mallory, have for six years been in possession of bullet casings possibly linked to the shooting -- without disclosing them. Assistant Commonwealth’s Attorney Dorislee Gilbert said prosecutors were talking on Tuesday with Anthony Hogan, who was also charged in the murder of Holt but agreed to testify against Mallory as part of a plea deal, about his upcoming testimony when they learned his attorney had the shell casings. Attorney Angela Elleman of the Louisville Public Defender’s office and an investigator working with her dug up the shell casings buried in a tree stump outside a bar in Louisville just months after the April 11, 2012, murder, according to evidence discussed in a court hearing on Wednesday. The casings have been in a safe at the public defender’s office since being collected, Gilbert said in the hearing. Dan Goyette, head of the public defender’s office, said Thursday he would offer comment about the issue sometime Friday. Elleman said she could not immediately comment when reached by phone Friday. Hogan allegedly claims he saw Mallory bury the shell casings after Holt was shot to death in his mother’s apartment near Dixie Highway and East Rockford Lane. The defense team dug them up in June 2012, after Hogan had been arrested. Holt was a student at Farnsley Middle School. Prosecutors have said Holt’s mother, Kendra Wilson, participated in a robbery and attempted execution of Mallory hours earlier, and that Mallory shot the teen while trying to retaliate against Wilson. While the Mallory murder case has dragged on for years – with the trial postponed numerous times for various reasons – this is the first time prosecutors or Mallory’s defense team learned about the shell casings. Gilbert said Louisville Metro Police immediately retrieved the shell casings and they are being tested to see if they match the gun recovered from the shooting. Hogan was pulled over in April 2012 in possession of the gun, but he has accused Mallory of firing the shots that killed the teen. He told police the men drove to the apartment, Mallory kicked in the door, planning to attack Wilson, and fired shots into the darkened home, killing the teen. Mallory's attorneys, Darren Wolff and Mark Hall, asked for a delay in the trial while the casings are tested, saying the results could help or hurt Mallory's case. During a second hearing Thursday, Mallory stood up, arguing against the delay and claiming Hogan was the killer. Gibson delayed the trial until September. "I realize this may sound harsh, but as a father and former lawman, I really don't care if it's by lethal injection, by the electric chair, firing squad, hanging, the guillotine or being fed to the lions." �Men have called me mad; but the question is not yet settled, whether madness is or is not the loftiest intelligence"
LOUISVILLE, Ky. – Attorneys for a man charged with the 2012 murder of 15-year-old Gregory Holt have asked a judge to remove the Jefferson Commonwealth’s Attorney’s office from the death penalty case, arguing the prosecutors have now become necessary witnesses for the trial. The request further complicates a case already marked with surprise revelations that lawyers concealed evidence and may have broken the law. Late last month, as James Mallory was days away from standing trial, prosecutors found out an investigator and attorneys for a co-defendant, and key witness against Mallory, have for six years been in possession of bullet casings possibly linked to the shooting -- without disclosing them. At the time, the judge said the actions “appalled” her and raised questions about whether a crime may have been committed by the defense team for one of the men allegedly involved in the slaying. Now, Mallory’s attorneys, Darren Wolff and Mark Hall, claim that prosecutors have a conflict in interest because of their role as witnesses in the case and as potential investigators of the co-defendant and his attorneys. The attorneys argue prosecutors will need to testify as to how exactly they learned co-defendant Anthony Hogan and his attorneys came into possession of the bullet casings. In addition, they say, the Commonwealth's Attorney's office has a duty to investigate the defense attorneys and Hogan, who was also charged in the murder of Holt but agreed to testify against Mallory as part of a plea deal. Attorney Angela Elleman of the Louisville Public Defender’s office, and an investigator working with her, dug up the shell casings buried in a tree stump outside a bar in Louisville just months after the April 11, 2012, murder, according to evidence discussed in a court hearing last month. Hogan allegedly claims he saw Mallory bury the shell casings after Holt was shot to death in his mother’s apartment near Dixie Highway and East Rockford Lane. The casings had been in a safe at the Jefferson County Public Defender’s office until Louisville Metro Police recently took them for testing. The lead prosecutor, Assistant Commonwealth’s Attorney Dorislee Gilbert, will likely be called to testify as to her conversation with Hogan and Elleman, according to the motion. In an interview Friday, Gilbert declined to comment on the motion, saying she needed more time to review it. Assistant Commonwealth's Attorney Jeff Cooke, a spokesman for the office, said prosecutors would file an objection to the motion arguing "there is no basis in law to disqualify us." Cooke said prosecutors have "acted appropriately under the circumstances" and are not "material witnesses" in the case. Since the Jefferson Commonwealth’s Attorney’s office would be responsible for investigating that case, it “leads to the logical conclusion that they cannot fairly investigate and prosecute individuals they clearly consider to be their most important allies in the prosecution of James Mallory,” the defense attorneys wrote. Cooke said if there is at some point an investigation that leads to charges, a special prosecutor could be appointed if a judge decided it was necessary. Elleman has declined to comment. But Dan Goyette, head of the public defender’s office, has said that "after a careful review of the rather complex legal and evidentiary situation that arose in this case, it’s clear that the actions of Mr. Hogan’s attorneys were directed in the best interests of their client and were consistent with their professional obligations." Gibson has said in court that she needed to “figure out” why the evidence was never turned over and “what further action needs to be taken.”. Dp for me. Thanks. God bless America. Judge Susan Schultz Gibson ruled Tuesday that James Mallory’s attorneys for the last three years have a conflict of interest and she must find him new representation. 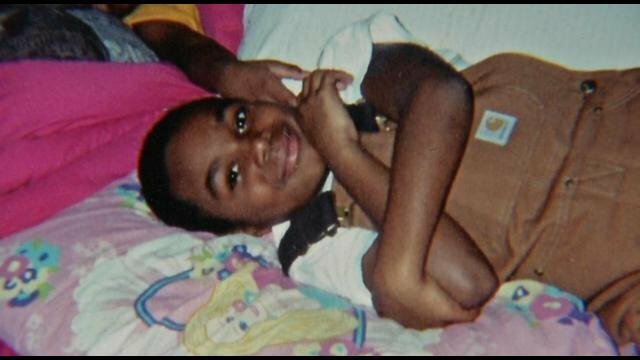 LOUISVILLE, Ky., (WDRB) – For the seventh time, the death penalty trial for a Louisville man charged with killing 15-year-old Gregory Holt in 2012 has been postponed – this time because a judge decided his attorneys have a conflict of interest. James Mallory’s trial was supposed to begin Friday in the slaying of the teen, who is believed to have been an unintended target when he was shot in his home about six and a half years ago. But Jefferson Circuit Court Judge Susan Schultz Gibson ruled Tuesday that Mallory’s attorneys for the last three years have a conflict of interest and she must find him new representation. The case is already one of oldest pending in Louisville and Gibson said she did not know how long it would take to find new attorneys. Mallory asked that he be tried within six months. This delay was prompted by what Gibson previously deemed potentially “criminal” actions by the Louisville Public Defender’s office in February. Gibson postponed the trial at that time after the Jefferson Commonwealth’s Attorney’s office found out an investigator and attorneys for a co-defendant, and key witness against Mallory, had for six years been in possession of bullet casings possibly linked to the shooting -- without disclosing them. Gibson also repeatedly asked in court whether concealing the shell casings amounted to a criminal offense, specifically tampering with physical evidence. “After a careful review of the rather complex legal and evidentiary situation that arose in this case, it’s clear that the actions of Mr. Hogan’s attorneys were directed in the best interests of their client and were consistent with their professional obligations." Since Hall and Wolff were hired by Goyette's’s office as outside counsel for Mallory, Gibson found they had a conflict of interest and it was up to Mallory to decide whether to waive the conflict and continue with the two lawyers. The judge assigned another attorney, Thomas Clay, to work with Mallory to determine whether he felt Hall and Wolff could sufficiently defend him and vigorously attack issues with the public defender’s office’s handling of the case. Goyette's office not only pays Hall and Wolff but would make the decision whether to hire them as outside counsel for other cases as well. On Tuesday, however, Mallory told the judge he needed more time to talk with Clay before making a decision. Instead, Gibson ruled Mallory was not waiving the conflict of interest and she would assign him new attorneys. “I have no idea how long it’s going to take to find somebody,” she said. A new court date has been set for next month. After the hearing, Wolff said he and Hall got along well with Mallory, but said he understood the judge's ruling. “I think the public defender’s decision in June 2012 to go out and collect evidence in a capital murder case and to basically hide that evidence for over 5 � years has led to some unfortunate results, including the conflict that developed in this case,” Wolff said. Elleman and and an investigator working with her dug up the shell casings buried in a tree stump outside a bar in Louisville. The casings were kept in a safe at the public defender’s office. Recent testing has matched the casings to the shooting. LOUISVILLE, Ky. (WDRB) � A lawyer for a man charged with killing 15-year-old Gregory Holt in 2012 claims an attorney with the Louisville Public Defender�s office committed a felony by hiding key evidence in the death penalty case. The attorney for James Mallory said in a recently filed motion that public defender Angela Elleman �concealed� bullet casings linked to the shooting at the request of her client, Anthony Hogan, a co-defendant in the murder case. In the motion, filed late last month, Lexington attorney Gregory Coulson asked Jefferson Circuit Court Judge Susan Schultz Gibson to investigate whether Elleman and any other employees with the public defender�s office have committed a crime, specifically felony tampering with physical evidence. That investigation should include a review of Elleman�s communications with her client and prosecutors as well as an inspection of the defense�s case file to �determine that the services of (the defense team) have been used in furtherance of a crime or fraud upon the court,� according to Coulson�s motion. Mallory�s trial was delayed earlier this year after the Jefferson Commonwealth�s Attorney�s office found out Elleman and an investigator working with the public defender�s office had for six years been in possession of the casings without disclosing them. In hearings about the issue, Gibson has repeatedly asked whether concealing the shell casings amounted to tampering with physical evidence. No charges have been filed. �After a careful review of the rather complex legal and evidentiary situation that arose in this case, it�s clear that the actions of Mr. Hogan�s attorneys were directed in the best interests of their client and were consistent with their professional obligations." Elleman did not immediately return a phone message Wednesday. Elleman and an investigator dug up the shell casings buried in a tree stump outside a bar in Louisville just months after the April 11, 2012, murder. The casings were put in a safe at the public defender�s office for years until prosecutors learned of them in February when talking with Hogan about his agreement to testify against Mallory days before Mallory�s trial was to begin. Hogan claims he saw Mallory bury the shell casings after Holt was shot to death in his mother�s apartment near Dixie Highway and East Rockford Lane. Coulson said that Elleman � identified only as A.E. in the motion � posted a picture on social media in 2013 showing her in the tree stump with the evidence. �The conduct of attorney A.E. in conspiracy with Mr. Hogan has crossed over from zealous advocacy within the bounds of ethical and legal constraints to criminal conduct,� Coulson wrote. Coulson has also requested that Elleman�s communications with police, prosecutors, jail officials or other law enforcement agencies be turned over to the defense. The case is scheduled to be heard in court on Dec. 19. Holt was a student at Farnsley Middle School. Prosecutors have said Holt�s mother, Kendra Wilson, participated in a robbery and attempted execution of Mallory hours earlier, and that Mallory shot the teen while trying to retaliate against Wilson.